He spent two years exploring and manufacturing lumber on the north shore of Lake Superior. He arrived at Upper Fort Garry on 5 August 1873, and served as a Dominion Land surveyor from then until 1879, when he resigned to practise privately, and also became the first assessor of Winnipeg. 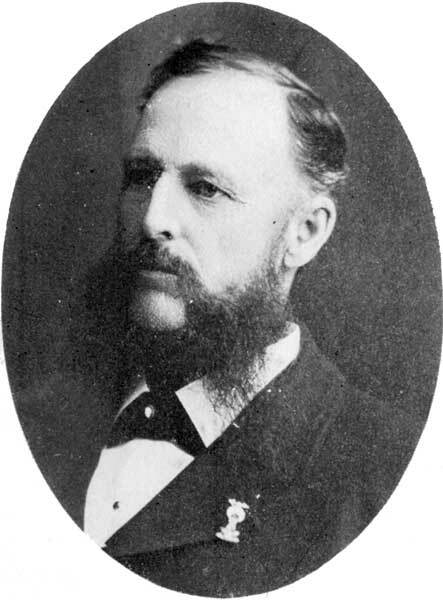 He was appointed city surveyor in 1882, and conducted a major survey of the city from 1890 to 1894. Harris was a founding member and President of the Association of Manitoba Land Surveyors. In 1893, he introduced an entirely new system of Business Tax to take the pace of Personal Property Assessment. This system proved successful and was copied by cities and towns across Western Canada. In 1876, he married Susan Elizabeth Smith of Waltham, Iowa. He had two children but neither survived him. Their home at 26 Edmonton Street was designed in 1902 by architect C. C. Chisholm. After his wife’s death, he married Annie J. Williams of Boissevain on 15 June 1921. They had no children. He was an ardent baseball fan who introduced the game to Winnipeg and was the first President of the Winnipeg Baseball Club. He was also a member of the Knight Templars, Astronomical Society of Canada, and Broadway Methodist Church. He was a life member of the Winnipeg Real Estate Exchange, Winnipeg Amateur Baseball Association, and Winnipeg Driving Club. Active in the Masonic fraternity, he was a member of the Grand Lodge of Iowa (Polar Star Lodge No. 113) and First Worshipful Master of St. John’s Lodge No. 4. In 1913, he was made an Honorary Past Grand Master of the Grand Lodge of Manitoba. He died at his home in the Anvers Block on 20 March 1926 and was buried in St. John’s Cemetery. His diaries at the Archives of Manitoba reveal that he was “principled, practical, intolerant of mediocrity, unafraid of controversy, and open to new ideas”. Freemasonry in Manitoba 1864-1925 by William Douglas. “J. W. Harris, resident here 53 years, dies at age of 81,” Manitoba Free Press, 22 March 1926, page 1.